Thank you for your continued support and our campaign to get all hate pages to be removed from Facebook. Facebook routinely removes hate pages aimed at African Americans, the LGBT community and other minorities. However; when it comes to hate pages targeted at the Jewish people, Facebook is very slow to respond. Our campaign, “Help Report Hate & Anti-Semitic Pages” is a boulder rolling down the hill, picking up speed, getting bigger and bigger and bigger. Facebook was created by the involvement and networking of individuals around the world. We believe Facebook can be held accountable in the same way this country was created. By the people. 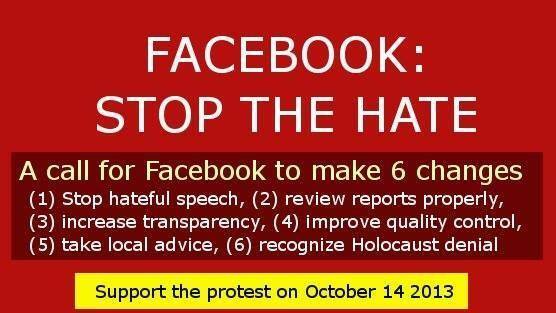 On Monday October 14 at 10am, Help Report Hate & Anti-Semitic Pages is leading an organized protest, bringing this all important free speech issue to the doorstep of Facebook headquarters in Menlo Park, California. Freedom of Speech affects us all, Jewish or not. Our goal is to force the powers that be at Facebook to pick up a hammer and tear down the wall of hate and harassment which is routinely built on their cyber-property. Facebook can no longer pretend to be an innocent slumlord, turning a blind eye to the criminals living and committing crimes on their property. The amount of support our campaign is receiving from around the world is astonishing, as it is humbling. 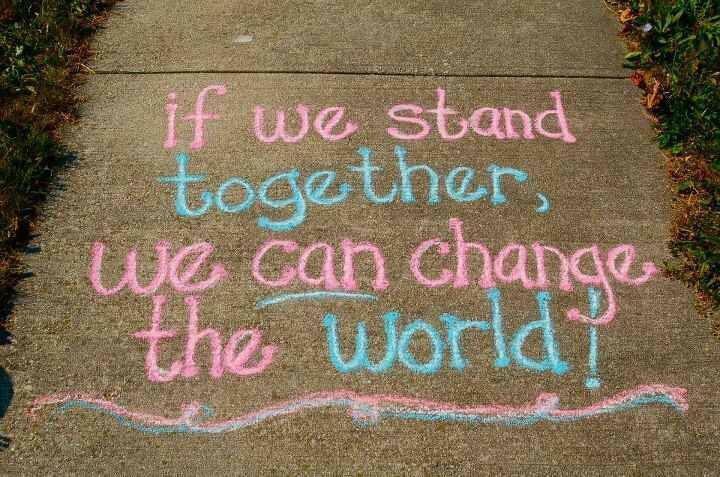 We at Help Report Hate & Anti-Semitic Pages believe that once our message is heard loud and clear, things will change. Remember, we’re not asking for the world. We’re just asking for the Facebook board to change their rules and implement meaningful changes. We are coming from the point of view that, Facebook being such a behemoth corporation that they are simply not aware of the problem. HRH&ASP is a small cadre of volunteers, passionate with the ideals from which this wonderful country was founded: Freedom of Speech, without purposefully hurting individuals or groups. We are literally running on a shoe-string budget and people have been very generous. What we need now are three things: Volunteers, Ideas, and funding. Currently our campaign is being financed out of the pockets and life-savings of a few good behind-the-scenes heroes. Hard-working men and women who still believe in the ideals of a free country. Simple things like designing and printing posters, brochures with the demand letter, T-shirts, purchasing ads, renting the stage and sound equipment, transportation to the event location on October 14th are currently beyond an arm’s length within our current financial grasp. As you can imagine, the list grows each day. That’s why we’re asking you, the person of conscience, to help contribute in whatever way you can. If you can donate now, you will be guaranteed your place in history. Just as we try our best to keep our schools safe for our kids, our communities safe for our elderly and our public transportation accessible to the disabled, Americans want a safe, friendly and hate-free Internet. Nobody can completely police the entire world-wide-web. All we want to do is to get Facebook to wake up and pull the plug on hate pages aimed at all minority groups, including the Jewish People. Many major individuals and organizations have already lent their support. A few of them are listed below. 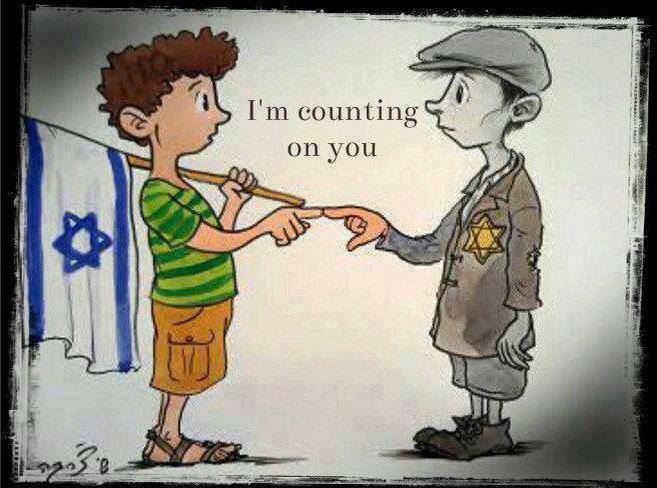 Thank you again for your time and for your support to Help Report Hate & Anti-Semitic Pages. Success is only a few clicks away. Thanks to Online Hate Prevention Institute, Standwithus, Standwithus San Diego, Children Of Jewish Holocaust Survivors, SFI-Students For Israel, & Sign Petitions To Ban Holocaust Denial From Social Media As Hate Speech for your support. And Steven Alan Green for taking your time to join us. Finally, a great page ‘They Can’t’ for removing YouTube videos for us. Imagine a modern day invention called Facebook that connects everyone around the world. Imagine now that invention is the most successful Internet business of all time. Now imagine sick individuals and hate groups infiltrating this incredible invention and using it to focus hate against minorities and to bully individuals around the world. Tragic stories pop up all the time of a bullied teen reaching their breaking point, ending their pain by taking their own lives. Unfortunately, the story doesn’t end there. It begins there. Because, whether it’s an individual being targeted or a minority group, hate on the Internet can have the same tragic effect. Imagine thousands of people rising up through their computers to lodge a world-wide protest to demand that these hate pages be torn down like the Berlin Wall. And imagine that cyber-protest working, but only on a case by case basis. In the last few years, there have been several tragic stories of young teens taking their own lives due to bullying through social media. As in most of the cases, it’s an accumulation of teasing and abuse (not just one incident) which causes teens like 12-year old Rebecca Ann Sedwick from Florida to take their own lives. But, bullying doesn’t always have to be targeted at an individual to be effective, damaging or even deadly. Every year, hundreds of hate group pages are created by anonymous and cowardly sick individuals, whose sole intent is hurting as many decent people as they can. These hate pages are self-published on Facebook, with the simplicity and ease of hitting the enter button. A few examples are in Mendelson’s blog. The social media giant Facebook has made it a company policy to remove hate pages, especially when there are a number of online registered complaints. “Hate Pages” targeting African Americans, the LGBT and Gay Communities are routinely monitored and removed. However, for some unknown reason and as strange and out of place in today’s tolerant society it is, officials at Facebook refuse to take down hate pages aimed specifically at Jews, Jewish Americans and pro-Israel supporters. Ironically, the founder and CEO of Facebook, Mark Zuckerberg, is Jewish himself. Well, there are few good and courageous people stepping up and doing something about it. Michael Mendelson, a hard-working average American, has taken the lead with his small army of 600, reporting such pages and groups day in and day out. Mendelson’s method? Fight fire with fire. That’s why he created “Help Report Hate & Anti-Semitic Pages,” a Facebook page. Technology didn’t get us into this mess, it’s just made it worse. With the plague of smartphones, our children’s access to the Internet can no longer be completely monitored. Mendelson urges parents to be aware of their children’s “likes” or Facebook groups they are in. Bullying pages can be entertaining to the uninitiated teen, but Mendelson insists it is still the parents’ responsibility to monitor and indeed censor what their children are exposed to. On October 14, at 10am precisely, “Help Report Hate & Anti-Semitic Pages” will lead thousands of sympathizers right to the doorstep of Facebook, at their international headquarters in Menlo Park, California. The issue boils down to this. Why is Facebook routinely and automatically removing hate group pages which target African Americans and the Gay Community, but when it comes to hate group pages that target Jews, they seem to turn an anti-Semitic blind eye? According to “Help Report Hate & Anti-Semitic Pages”, a few normally dependable stalwart iconic organizations of American and International freedom of speech and human rights have turned their backs on this obvious blatant abuse of what has essentially become a public trust. Mendelson has repeatedly tried to contact anyone at Facebook Headquarters in Menlo Park, California, but nobody has returned his phone calls or emails regarding what will surely be the cyberspace freedom of speech issue of the year. Mendelson estimates that today, of the half-billion Facebook membership, at least one fifth of that cyber-population are Jewish and/or pro-Israel; and it does make this writer wonder where the good business-sense here. There is little if any governmental regulation of social media companies, as they are privately owned businesses. The question for Facebook is different. Facebook is a publicly traded company and if their shareholders knew of Facebook’s seemingly willful ignorance to anti-Semitic hate pages, no doubt they would they feel quite differently about their favorite cash cow. Would they feel proud to own a piece of what some have termed, “ShameBook. 1. Revert back to the old rule under which ‘hateful speech’ was prohibited rather than ‘hate speech’. This captures a far wider variety of hate, and Facebook should not allow the use of its platform as a channel for hate against any individual or group. 2. Have a person properly review the first complaint about any content. Algorithms for identifying hate are fine when they are identifying hate in the system themselves, but if a person takes the time to make a report, Facebook must take sufficient staff time to properly consider it. 3. Be transparent about the way complaints are reviewed. c) Additional fresh assessments should occur periodically (based on elapsed time or volume of complaints) and at each point of escalation a more senior Facebook staff member should review the reports. d) It should be possible for a sufficiently serious complaint (relative to other complaints) to rise all the way up to the CEO and board for final determination if it is not upheld earlier and keeps being reported by a significant number of users. 4. Improve quality control of the complaints process. Facebook should conduct random audits of complaints and publically report on the percent of complaints that on further review are reassessed. Facebook should also set an expected quality of service for complaint handling and take steps to address the problem when the quality drops below this threshold. We believe there is an extreme bias in favour of rejecting complaints. 5. Work with local NGOs that focus on hate speech in each of the countries in which Facebook has users. Most of Facebook’s audience (approximately 83%) is outside the United States and the language of hate speech differs country by country. In order to effectively implement its prohibition of hate speech, Facebook needs to directly work with, and learn from, local organisations around the world who counter hate speech. Facebook should also run a more open consultation on policy matters and invite these organisations to participate. 6. Recognise Holocaust denial as a form of hate speech. Facebook’s continued refusal to acknowledge Holocaust denial as a form of hate speech is a disgrace that must be fixed. This issue will not go away until Facebook fixes it. And here is the petition that needs to be signed and shared. How to loose 28% of your followers on Facebook. ‘Help Report Hate And Anti Semitic Pages’ went from close to 15,000 likes to under 11,000 in just under 2 hours. The time it took for Facebook to filter it all out. Here’s the story, parents pay attention !! Approximately 5 months ago we created a page. Went through all the steps slowly to get it done right. Started out to reach a larger audience outside of our ‘secret’ group that would allow us to take advantage of others to help us report other pages and open groups that are blatantly spewing hate, anti Semitism, Holocaust denial & conspiracy theories. Between asking for additional help, we also post the truth about Israel to contradict BDS’ers, stories of anti Semitism today, stories from the Holocaust to NEVER FORGET and just all around pro Jewish stories from around the world. To avoid entertaining members that may not be their “cup of tea” We’ve filtered out countries, set an age limit (17 & over), put close to 20 admins to ban those that may start trouble or to hide a comment should one use vulgar language. There have been many of times where we took horrific pages from our ‘secret group’ and transferred it to the page for quicker removals. Trying to enhance our page gearing it toward our demonstration on Oct 14 10am in front of Facebook’s headquarters, we went back into the settings. Added a phone number, email address & links to our blogs. Then went back to check on every other available icon to make sure things were cool. Well…. They weren’t !! Facebook reset the age limit to ALL. Frantic as some of our content might be controversial, we quickly set it back to 17+, then bam !! Over 4,000 were removed, meaning those underaged saw some things they shouldn’t have. We are truly sorry for that & will do our best to make sure this doesn’t slip through the cracks again. Parents these days are dealing with a whole new problem today with social media & Facebook being one of the worst of them all. There is only so much one can do to supervise your children’s use due to technology. No more do they only have a computer at home (were you can glance) you have armed them with cellphones where they can connect without your knowledge. Are you aware of their ‘likes’ or groups that they are in ? It’s high time you guys get a grip on it’s content. Bully pages, groups that make fun of others, religion that may not be what YOU are instilling in them, propaganda and conspiracy theories ? Don’t know where the list starts nor where it ends. The search bar is dangerous, friends adding them to groups they originally had no interest in and worse… Pages that ‘pay’ Facebook to gather more “likes” that end up in their news feeds. How many deaths have you read in the news over bullying or being persuaded to do unlawful acts due to peer pressure ? Pages/groups that target a race, religion or gender ? Most are filled with conspiracy theories and our children take the word of a friend or a blog above the actual truth. I urge you all to follow the few blogs we’ve written and hope you step up to the plate with us in this much needed protest. You can look for a phone number to call Facebook, but you won’t find one. They are very good at gathering our personal information, but can’t seem to put an end to some major flaws. Speak out !! We are now living in a world where social media is sidetracking the very values you are trying to instill in your children. Save the date. October 14 10am Facebook’s HQ in Menlo Park, Ca. Tell your friends. Inform the media. Force Facebook to abide by the very community standards it put in place.